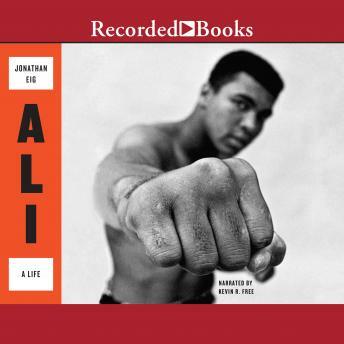 The definitive biography of an American icon, from a New York Times best-selling author with unique access to Ali's inner circle He was the wittiest, the prettiest, the strongest, the bravest, and, of course, the greatest (as he told us over and over again). Muhammad Ali was one of the twentieth century's greatest radicals and most compelling figures. At his funeral in 2016, eulogists said Ali had transcended race and united the country, but they got it wrong. Race was the theme of Ali's life. He insisted that America come to grips with a black man who wasn't afraid to speak out or break the rules. He didn't overcome racism. He called it out. 'I am America,' he once declared. 'I am the part you won't recognize. But get used to me-black, confident, cocky; my name, not yours; my religion, not yours; my goals, my own. Get used to me.' Ali went from being one of the most despised men in the country to one of the most beloved. But until now, he has never been the subject of a complete, unauthorized biography. Jonathan Eig, hailed by Ken Burns as one of America's master storytellers, breaks new ground and radically reshapes our understanding of the slippery figure who was Muhammad Ali. Eig had access to all the key people in Ali's life, including his three surviving wives and his managers. He also had access to thousands of pages of new FBI and Justice Department files, as well dozens of hours of newly discovered audiotaped interviews from the 1960s. Jonathan Eig's Ali breaks bold new ground, revealing Ali in the complexity he deserves, shedding important new light on his politics and his neurological condition. Ali is a story about race, about a brutal sport, and about a fascinating man who shook up the world.